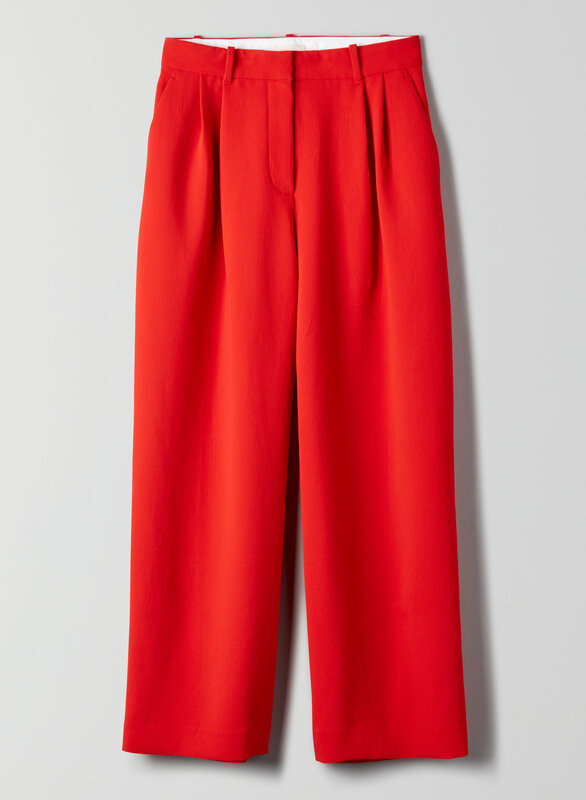 Pleat yourself right. 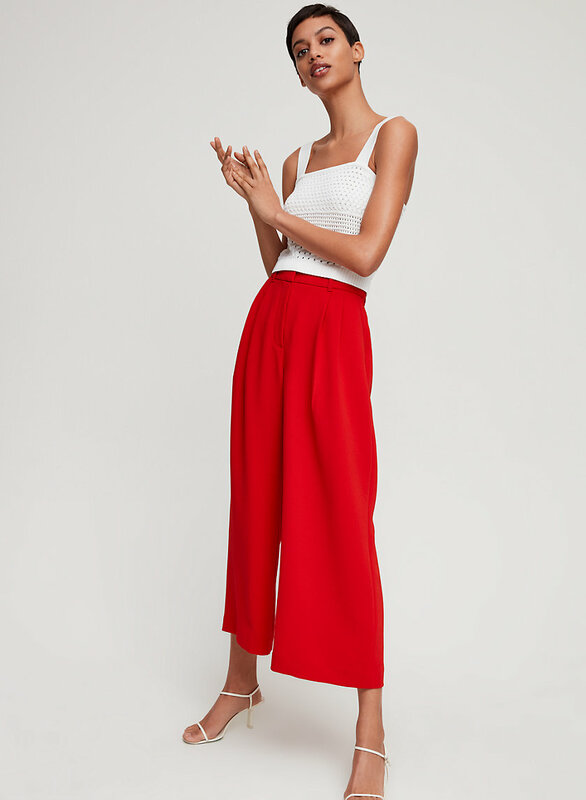 This is a high-waisted, pleated trouser with a wide leg. 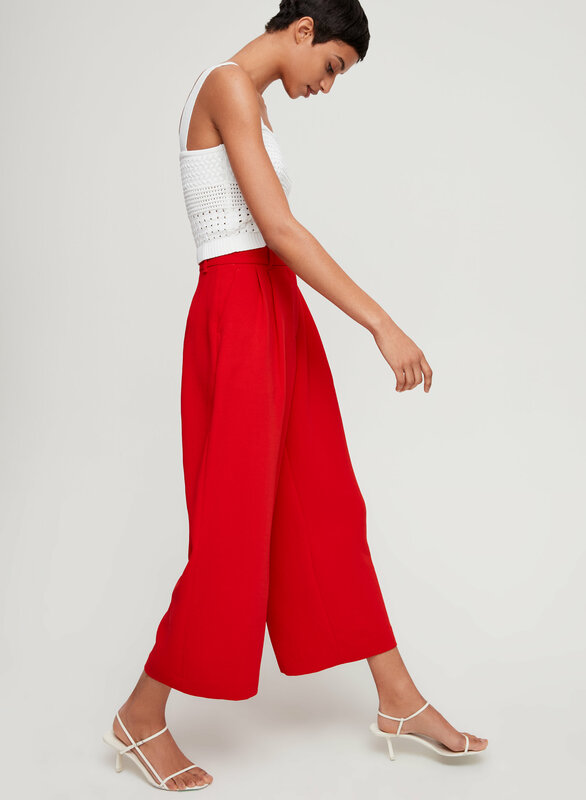 It's made with a luxe Japanese crepe fabric with a subtle texture.